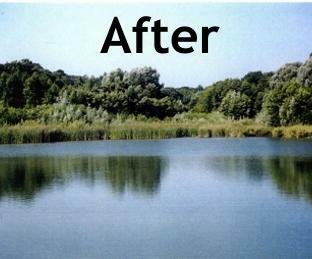 Lake & Pond Restoration – Management, Pond Maintenance & Pond Clarifier, lake Sludge…Odor…Organic Deposits…Stressed Fish and Wildlife. These are typical problems in lakes and ponds. The challenges are particularly tough in waters which receive fertilizer run off, dead leaves, or have excessive fish or animal waste. Until now, solutions have been elusive and limited to expensive manual cleaning and dredging, or the use of dangerous or toxic chemicals. Finally, an Environmentally Friendly Solution is available! Our All Natural Micro-Organism based System provides a convenient, cost effective treatment for even the toughest water clarification projects. The results are dramatic. And the cost savings are dramatic too! 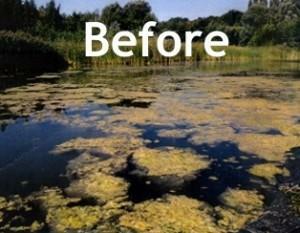 Algae Control in Ponds Bio Lake Clear is the only one to do the job right, first time! 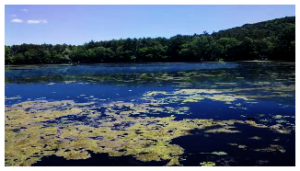 High Nitrite and High Phosphate Levels increase Algae Bloom, Duckweed, and other unsightly problems. Our Products reduces these levels to where you will see a great improvement in visible water quality. Algae Control in Ponds Bio Lake Clear is the answer. NOTE from OES: With over 30,000 different verities of algae in ponds and lakes, we are extremely confident our product works. Every pond is different. In some cases one product by itself does not always work. This is why we have “Bio Lake Ecosock GC ”. Bio Lake Ecosocks GC are highly recommended to be use in combination with Bio Lake Clear. This combination will get the results you expect. If you decide to use only one product and do not get the results you expect, DON’T assume our product does not work, add the Bio Lake Ecosock GC to your program. We only want SATISFIED customers. We are more than happy to consult with you before you make a purchase. Lake management is a science but every lake or pond is different. We are not an algaecide for ponds! We do not kill algae. 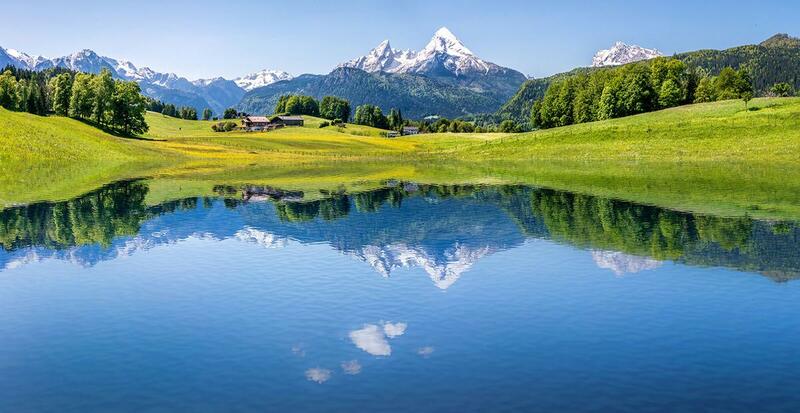 Lakes and ponds receive more nutrient input that natural processes can handle, including nitrites, phosphates,and organics. Excess nutrients cause algae blooms, excess weed formation, and sludge build up. Algae and aquatic weeds are unsightly. The sludge blanket harbors anaerobic bacteria, which cause murky water, and give off sulfide odors. 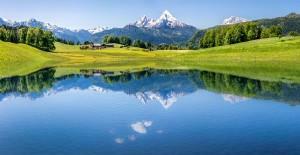 Proper treatment of lakes and ponds requires removal of nitrites, phosphates, and organics. Only Bio Lake Clear Lake has all the components needed for the complete job. In either case, you are assured of receiving enough bacteria, of the right type, with the right level of activity to handle even the toughest lake and pond restoration jobs. What is Bio Lake EcoSock GC? Bio Lake EcoSock GC is ideal to reduce floating and submerged mats or fibrous masses. The Bio Lake EcoSock GC product consists of specialized bacteria and bacterial nutrients contained in a special slow-release formula. The bacteria and bacterial nutrients are contained in a cloth bag. A 12 foot tether is attached to the bag. The product is designed so that you can place the bag into the pond, secure it in position using the attached tether and allow it to work for 4 weeks, maximum. At the end of 4 weeks in the pond, the bag will still be full, but it will no longer be active. Remove the bag, and discard it as you would your yard waste. How is Bio Lake EcoSock GC placed into the pond? Choose the site where the problems (floating and submerged mats or string algae) are worst. Remove the outside plastic bag before putting the cloth bag and its contents into the pond. Position the bag by tying the tether to any secure point (a stake, tree, etc.) and simply put the bag into the water. How much water will Bio Lake EcoSock treat?